The Neem tree is considered to be sacred by the people of India. The Neem tree is said to have been a safe haven for the Sun when, according to Indian mythology, it had to escape from the malicious powers of demons. Another Indian legend tells the tale of how a few drops of Amrita, meaning “ambrosia” or “the elixir of immortality,” fell onto the Neem tree while it was being carried to Heaven, thus further establishing its encounter with divinity. The name “Neem” has its roots in the Sanskrit word “nimba,” meaning “bestower of good health.” In Hindu texts, namely the Vedas, Neem is referred to as “one that cures all ailments and ills”, and “sun ray-like effects in providing health.” It was believed that a person who planted at least three Neem trees in his or her life would be guaranteed a place in Heaven. Nicknamed the “Indian Lilac” and the “Margosa Tree”, this legendary tree has become a symbol of good health and protection from adversity. It was used in medicine to strengthen health and boost immunity, in households as a food and grain stock preserve, and as a natural pesticide and fertilizer. The venerated Neem tree has provided physical comfort in the form of shade against the harsh sun and it has naturally repelled bugs and insects for those sitting under its canopy. There have been invented hundreds of ways to use for various parts of this evergreen tree, , leading the Indians to refer to it as the “village pharmacy”. Although its seeds, or “nuts,” are largely known for yielding the beneficial carrier oil, the tree’s bark, leaves, roots, flowers, and fruits are also used to make medicine that was applied topically, cosmetics, tea infusions, and insecticides. Variety of medicine based on the Neem Tree effectively fought fever, respiratory diseases, tetanus infections, rheumatism, arthritis, jaundice, malaria, ringworm, lice, skin infections of fungal and bacterial origin, scabies, eczema, psoriasis, and gastrointestinal disorders. The tree’s twigs were used to maintain oral hygiene and the leaves were used in salads or were cooked along with vegetables. 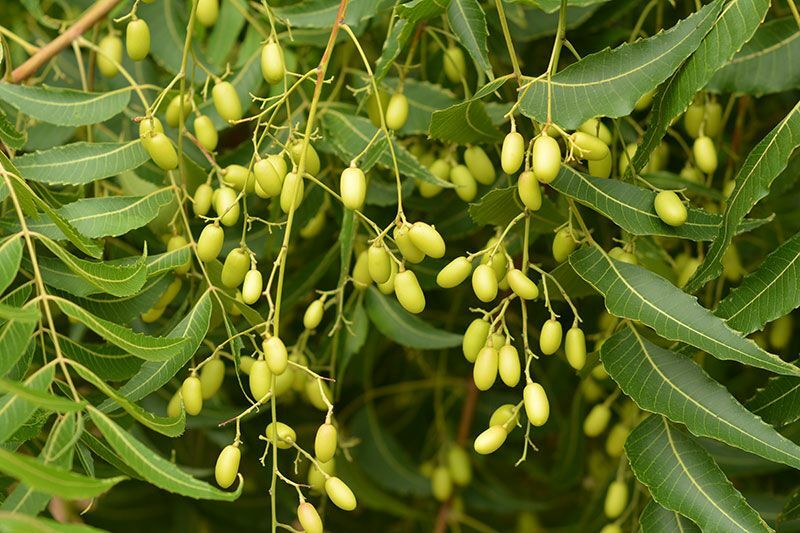 Neem gum was produced for dry throat lozenges, and Neem fruits were eaten for their sweet pulp. The ancient Ayurvedic tradition is said to be comprised largely of formulations that involve the use of Neem in one form or another. Historically, Neem Oil was even used as a topical contraceptive. 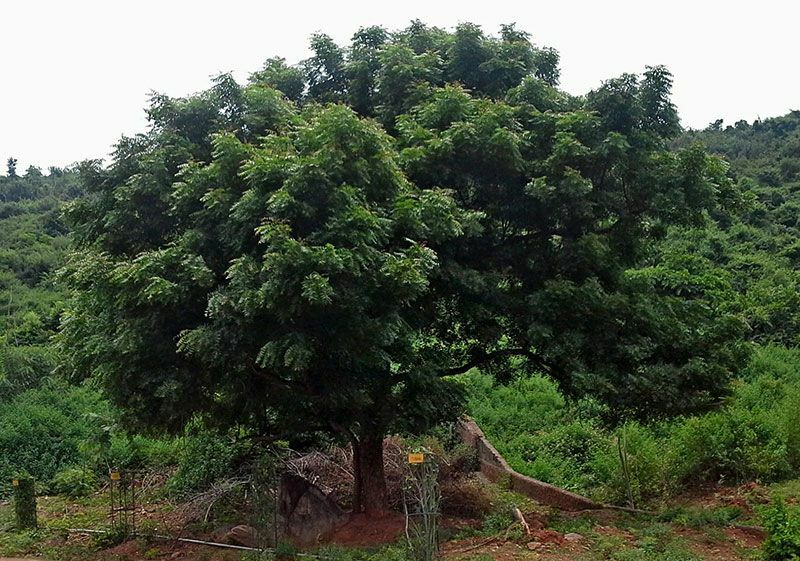 Its vast range of benefits has made the Neem tree an integral aspect of Indian life and has come to be closely associated with the history of the Indian civilization. The Azadirachta indica botanical, better known as the Neem tree, is believed to have originated in either India or Burma. When it was discovered that the tree can thrive in any warm, dry regions, migrating Indians introduced it to other lands including Africa, Fiji, Mauritius, Malaysia, Indonesia, Thailand, and Cambodia. Its resistance to droughts and its tolerance to heat are factors that contribute to its long lifespan of up to 200 years. This tall tree with its widespread is botanically related to the Mahogany tree. Neem tree fruits are usually produced once or twice a year, their shape and size are similar to an olive; each fruit has a sweet white pulp and three solid seeds inside. Of all the commercially available Neem products, Neem Carrier Oil, obtained from the seeds, is said to be the most important for cosmetics and medicines. The ripened Neem fruits either fall from the trees on their own, or they are shaken, picked, or stripped off the trees. The pulp must be removed as soon as possible within 45 hours after the fruits are harvested, and this can be done by rubbing pulp against an abrasive surface while they are still wet, then the fruit stones have been washed with water. In some regions, producers leave the cleaning of the seeds to fruit bats and birds, as they feed on the fruit pulp and spit out the cleaned seeds afterward. Because the seeds are distributed far and wide by these and other creatures such as baboons, Neem trees become “weed-like” in their far-reaching dissemination. HOW IS NEEM OIL EXTRACTED? Neem Carrier Oil is obtained from the fruits, seeds, seed kernels, or seed cake by cold-pressing, steam and high-pressure extraction, or solvent extraction. The first step of any method is to remove the pulp from the seeds and then to air dry the seeds in a cool room with low humidity. Next, the seeds have their husks removed before proceeding to the method of extraction. In the cold-pressing method, which is the oldest method, fresh, light green kernels are crushed and pressed to release their oils, which are then collected. Seeds that are fresh will produce oils that are light in color and that emit lighter, more tolerable scents. Kernels that are old or rancid will yield oil that is dark and that emits a strong, unpleasant odor similar to that of sulfur. Of all the Neem Carrier Oil extraction methods, cold-pressing yields the highest quality virgin oil consisting of all the active constituents. A second pressing yields an oil quality that is best suited for manufacturing soaps and insect repellents. In the steam and high-pressure extraction method, the kernels are steamed to boost the flow of oils for the next step, which is subjecting them to high pressure to squeeze out their oils. In this method, the resultant oil is dark and emits an unpleasant odor and the oil’s valuable properties can potentially be destroyed by the application of heat. In the solvent extraction method the kernels are finely crushed and placed in a container in which they are soaked with an organic solvent, usually Hexane. Once the solvent has been recovered, the remaining oil is comparatively clear. In this method, many of the oil’s pungent constituents, which are not soluble in Hexane, will remain behind, thus making the finished product suitable for use in the health products and cosmetic applications. Alternatively, the kernels can be pressed first, which would result in a seed cake, which could then have any remaining oil extracted with the use of Hexane. There are various colors of Neem Carrier Oil ranging between golden yellow, yellowish brown, reddish brown, dark brown, greenish brown, and bright red. The highest quality of Neem Oil is derived from Neem fruits that are picked from the tree rather than those that are collected after falling to the ground. The Neem oil’s significant feature is its smell, that can be likened to a mixture of onion, garlic, and rancid peanut butter aromas. However, in the composition of shampoos and skin care products, this very specific odor is insensible. It is not used on its own in cosmetics; when concentration is low, the smell is easy to hide with help of essential oils (e.g., sandalwood, lemon or lavender essential oil). Nimbin and Azadirachtin, which determine largely the unique healing properties of Neem oil. Such a rich complex of fatty acids, vitamins and active substances stimulates the growth of skin and hair; supports their softness, elasticity, and radiance; strengthens immunity, removes inflammation, acts as an emulsifier and ideal cleanser. MEDICINAL: Antibacterial, Antiviral, Anti-inflammatory, Anti-fungal, Antiseptic, Antipyretic, Antihistamine, Analgesic, Astringent, Anthelmintic, Diuretic, Emmenagogue, Febrifuge, Parasiticidal, Pediculicidal. The range of application of Neem oil in medicine and cosmetics is extremely wide: facial and body gels, lotions, creams, soaps, shampoos and much more. Used topically, Neem Oil can soothe skin ailments such as inflammation, and it can reduce feverish body temperatures, while eliminating joint and muscle pain caused by rheumatic disorders. Neem Oil can be applied to the skin as a toner that restores moisture to the face while eliminating pathogens beneath the skin’s surface to leave skin looking and feeling healthier and younger. To condition dry skin, Neem Carrier Oil can be blended with Coconut Oil before being applied. Add a few drops of Lemon or Lavender Essential Oil to this blend for a more pleasant scent. To control acne, Neem Carrier Oil can be mixed with Olive Oil before it is applied to the face and left on for one hour. It can either be washed off after this time, or it can be left on the face overnight, depending on personal preference. To lighten areas of skin that are affected by hyperpigmentation and to regulate melanin production, a few drops of Neem Oil can be applied to these areas with a cotton bud. Used topically, Neem Carrier Oil can soothe red, itchy, inflamed skin associated with ailments like acne, burns, rosacea, eczema, psoriasis, and rashes among others. Neem Oil works as a natural substitute for anti-aging products and as a protective agent against skin damage caused by UV rays. It deeply penetrates skin to restore moisture, enhance elasticity, smooth wrinkles, stimulate collagen production, and heal cracks caused by dryness. Neem Carrier Oil an effective agent for acne-prone skin; it gently unclogs pores and follicles, purging impurities, softens the skin to make it supple, facilitates the healing of scars, and soothes irritated skin without leaving a greasy residue. It evens out skin tone, restores a complexion, and brings out a healthy glow. Used in hair, Neem Oil naturally restores hair’s health, by giving protection against infections, removing dandruff and dryness, providing growth, and making hair smooth, radiant, and silky. It can balance hair’s natural pH level, preventing future dandruff. It not only detangles hair, but it prevents hair thinning caused by pollution, stress or medication. Regular application of Neem Oil to the scalp moisturizes hair from root to tip, maintains the health of the scalp, and repairs split ends, prevents hair loss, and slowed the graying of hair. Neem Carrier Oil can rejuvenate and fortify dull, frizzy hair by conditioning it to restore its luster and strength. An alternative to massaging the oil into the scalp is to add a few drops of Neem Oil to a shampoo of personal preference. The oil is a powerful ally in the fight against nail and skin infections of varying origin: fungus, herpes, eczema, psoriasis, pediculosis and scabies. Ointment or balm with oil accelerates the healing of small wounds, cuts and insect bites, and is an effective repellent of natural origin. It has the property of enhancing blood circulation in the damaged area of the blood and promoting the consciousness of collagen fibers, which, as is known, form and strengthen the epidermis. Lotions of margoga oil will forever forget about warts. Used medicinally, Neem Oil can be a powerful ally in the fight against nail and skin infections of varying origin: fungus, herpes, eczema, psoriasis, pediculosis and scabies. 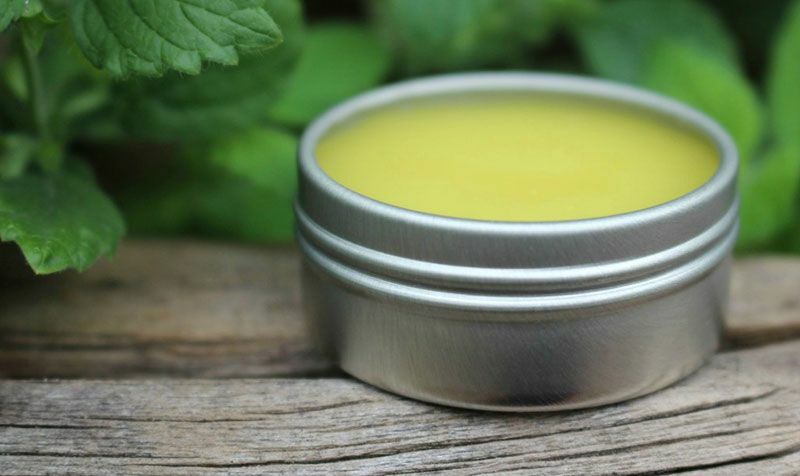 An ointment or a balm with Neem oil soothe areas of skin affected by cuts, wounds, and mosquito bites. This method makes an effective insect repellant as well. It has the property of enhancing blood circulation in the damaged skin area, and promoting the production of collagen fibers, which, as we know, form and strengthen the epidermis. To remove warts, Neem Oil can be applied directly to the affected areas once daily until the warts have disappeared. Neem Carrier Oil is suitable for external use only. As with all other oils, a patch test should be conducted on the inner arm using a dime size amount of Neem Oil to check for sensitivities. Due to its potential abortifacient properties, which can possibly weaken fertility or induce spontaneous miscarriages, it is highly recommended that the use of Neem Carrier Oil – a traditional Ayurvedic contraceptive – be avoided by women who are pregnant or trying to conceive. Those with nut allergies should avoid using Neem Carrier Oil, as Neem seeds are essentially Neem “nuts.” For those with Autoimmune Diseases such as Multiple Sclerosis (MS), Lupus, and Rheumatoid Arthritis, it is best to avoid using Neem Oil, as it can boost the symptoms of these diseases. Neem Carrier Oil can also diminish the effectiveness of medications that are taken to prevent organ rejection by the body, thus it should not be used by those who have recently undergone organ transplant surgery. Generally, Neem Oil should not be used at least 2 weeks before a surgery, as it may lower blood sugar levels during or after surgery. For this reason, individuals with diabetes are advised to monitor blood sugar levels carefully, if using Neem Oil. It may be necessary to change diabetes medication dosage.